People who alternate between beer and wine on a night out still end up drunk. Unfortunately, alternating between glyphosate and paraquat could result in resistance to both. 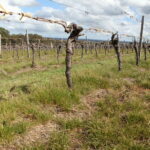 Last week in Australian rural media, we heard from Andrew Storrie (Australian Glyphosate Sustainability Working Group) who reported a population of ryegrass that is resistant to both paraquat and glyphosate in a vineyard in Western Australia. Very scary stuff! Is this a freak event that will only happen in vineyards or is it a warning sign for broad acre agriculture? AHRI researcher, Dr Roberto Busi published a paper in 2011 suggesting that perhaps resistance to glyphosate and paraquat could be linked. In this research, Roberto exposed ryegrass to low doses of glyphosate for three or four generations. This not only caused a shift towards glyphosate resistance, but the population also shifted toward paraquat resistance. What does this all mean for herbicide rotation and the double knock strategy? Sally Peltzer, Senior Research Officer DAFWA, received a phone call from a vineyard in the south west of Western Australia in spring this year who told her that paraquat had failed. Sally and Andrew visited the site and sent off some samples for quick testing. The results confirmed that the ryegrass was resistant not only to paraquat, but to glyphosate as well. 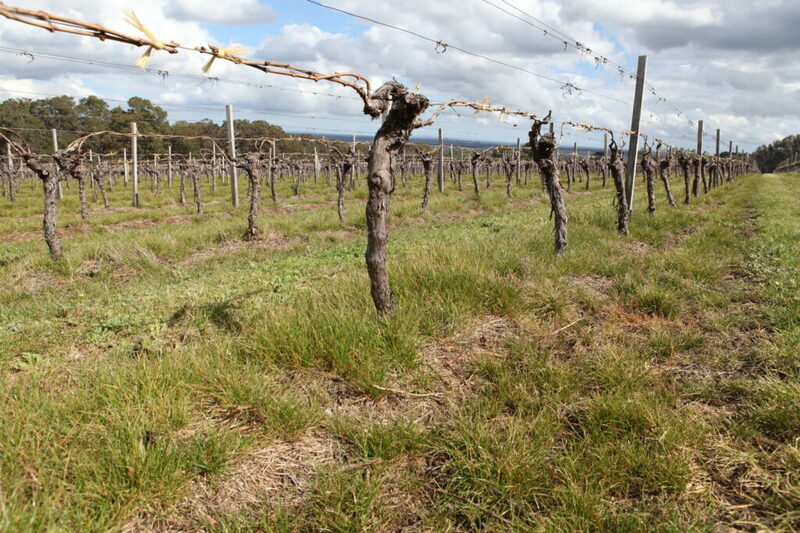 CAPTION: Resistant ryegrass survivors were found directly under the vines (click on the photo above for a high resolution version).Table 1. Quick test results from ryegrass samples taken from a vineyard in the south west of Western Australia (spring, 2013) (source: Andrew Storrie). How did they get into this tricky situation? The vineyard had a history of both glyphosate and paraquat use in an ad hoc manner over approximately twenty years. That is, they sometimes sprayed glyphosate and they sometimes sprayed paraquat, but not following a particular strategy. The vineyard didn’t like to use glyphosate too much as they believed that under certain conditions there was some root uptake of glyphosate by the vines. They generally sprayed a narrow strip directly under the vines and left about 2m of inter-row unsprayed. Spraying is usually undertaken in spring and the weeds can be sprayed two or three times depending on the season. Spraying a narrow strip of weeds in the row of vines gives a variable rate. The weeds directly under the nozzle get a very high dose, and the weeds on the edge of the spray pattern receive a very low dose. Spraying in spring also means that they are spraying large plants so there are shading issues and a very high rate is required to be a full lethal dose. Spraying a narrow strip also means that if there is a survivor, they are surrounded by thousands of un-sprayed plants with which they can cross pollinate. Having many un-sprayed plants around a rare resistant individual doesn’t slow the process of resistance evolution, therefore making it very easy to share resistance genes around. Roberto Busi – select with low doses of glyphosate – result = glyphosate and paraquat resistance. Roberto has become our go to man for selecting for resistance with low doses of herbicide. This research has uncovered several cross resistance issues (see AHRI insight 15 – creating a cross resistant monster). How did Roberto do it? Select with a low dose of glyphosate, allow survivors to cross pollinate and set seed. For the three time glyphosate-selected progeny, the estimated paraquat dose to cause 50% mortality (LD50) was 4-fold greater than for the un-selected parent (VLR1). The figure above relates to a study where the ryegrass was selected with low doses of glyphosate four times. This low dose selection has clearly moved the dose response curve of both glyphosate and paraquat to the right. Did low dose glyphosate selection cause resistance to other herbicides? Selecting with low doses of glyphosate (4 generations) did not cause any shift in resistance for the herbicides atrazine, chlorsulfuron (Glean®) or diclofop-methyl (Hoegrass®). It was only paraquat sensitivity that was associated with glyphosate resistance. What about selecting with low doses of Diclofop (Hoegrass®)? Dr Paul Neve researched low doses of Hoegrass® in 2005 and found that recurrent selection with low doses of Hoegrass® led to very rapid resistance evolution. This ryegrass is highly resistant to Hoegrass® but there was no shift towards glyphosate or paraquat resistance. At this stage we don’t know the specific mechanism that causes the link between glyphosate and paraquat resistance. Glyphosate and paraquat are very different herbicides in many ways so how is it possible that resistance to one could cause resistance to the other? We know that one of the mechanisms of glyphosate resistance is reduced translocation. We also know that reduced paraquat translocation has been documented to endow paraquat resistance. However, these paraquat and glyphosate reduced translocation mechanisms are completely independent and do not endow cross resistance. It is possible that a tonoplast transporter is able to recognise both glyphosate and paraquat and sequester them in the vacuole. If you understand that last sentence then perhaps you may like to read the scientific paper in the link below! This is just a possibility and is likely to be the topic of future research. Is this what caused resistance in the vineyard? We also don’t know for sure. The field is clearly very different to the lab and without extensive research we should not speculate. What we do know is that glyphosate and paraquat resistance occurred in the vineyard through rotating between glyphosate and paraquat. We also have research to show that resistance to these extremely diverse herbicide groups can be linked. What does this mean for herbicide rotation and the double knock? We need to keep in mind that the glyphosate and paraquat resistant population has evolved in a vineyard under conditions that are ideal to select for multiple resistance to these herbicides. Roberto’s research has alarmingly shown that there can be a link between glyphosate and paraquat resistance. This is likely to create a lot of discussion on what is the best strategy for the future. Yes, herbicide rotation is still a good idea. Yes, the double knock of glyphosate followed by paraquat is still a good idea. This will continue to work well in the vast majority of paddocks for some time yet. But, herbicide rotation and/or the double knock is not the total answer. We must have non-herbicide weed control in our system as well. Herbicide rotation is not integrated weed management; it is only a small part of a bigger package.